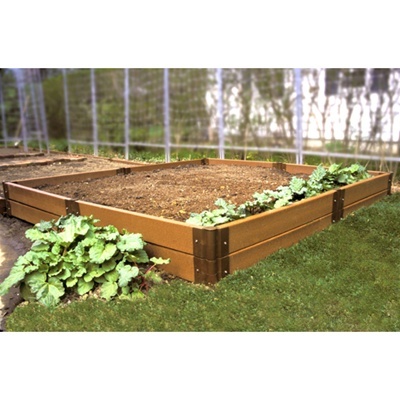 Raised Bed Gardening Kit | RVG-1B | Free Shipping! Adding raised bed gardens to your yard has never been easier, thanks to this unique raised bed garden kit. This all-inclusive kit contains everything you need to build a beautiful raised bed garden; just add soil and plants, and you're done! The best part is, there are almost limitless possibilities as to how you set up the kit! 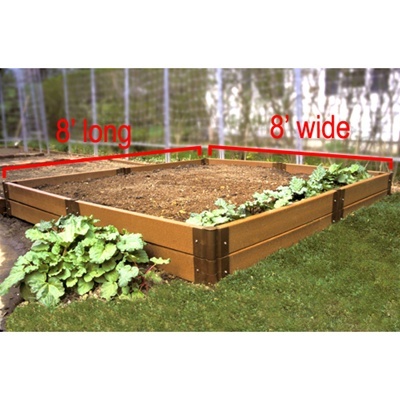 The standard is an 8' wide by 8' long by 12" tall raised bed, but there are many other options. For example, you could make a 4' x 12' x 12" garden instead. 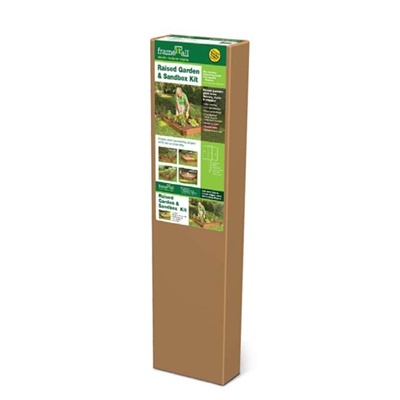 Or, the kit could be used to make two 4' x 8' x 6" gardens and one 4' x 4' x 6" garden for a total of three raised bed planting areas! 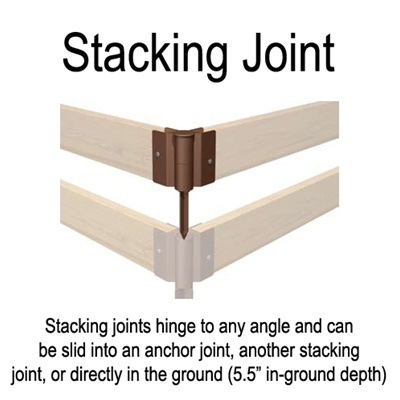 Plus, because the joints swivel 360 degrees, you can make almost any shape you want: square, rectangle, octagon, triangle--the choices are endless! 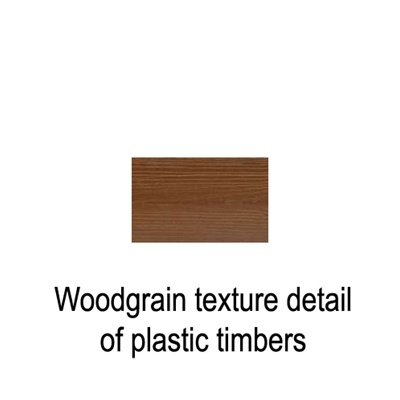 The timbers are constructed of a composite plastic, including 60% recycled polypropylene. Not only are they eco friendly, but they also won't rot, fade, warp, splinter, or crack! In addition, they contain no harmful chemicals (such as those present in pressure-treated wood) that can leak into your soil and poison your plants. Check out the solar landscape lights that are designed to fit in the joints! Cross view of I-beam style construction, which adds strength to timbers. The timbers can be sawn to any length with a hand saw or power saw just like lumber. The two integral I- Beams run through the entire length of the timbers. The timbers can be sawn to any length with a hand saw or power saw just like lumber. The two integral I- Beams run through the entire length of the timbers. 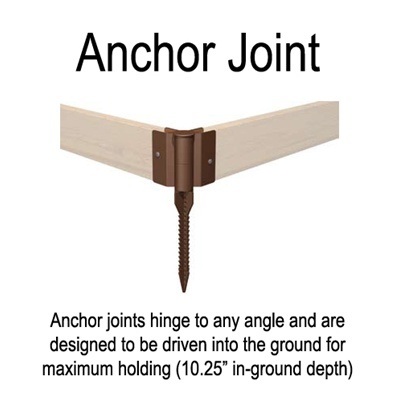 Joints swivel 360 degrees, offering a multitute of design and shape options such as square, rectangle, octagon, triangle - there are many possibilities!